The Exorcist – Did You See That One? 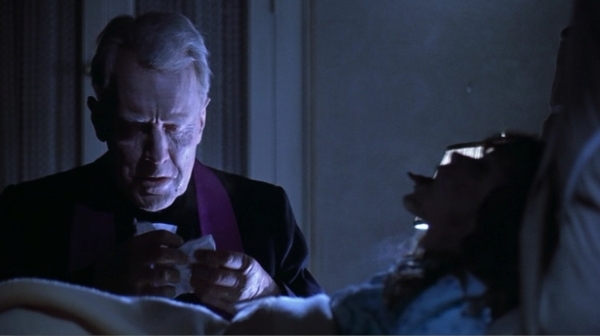 When Regan MacNeil (Blair) is posessed by an unknown spirit, her mother (Burstyn) seeks the help of Father Karras (Miller). Father Karras (Miller) and Father Merrin (von Sydow) soon find themselves locked in a dangerous battle with this terrifying entity. In the late 1960s and into the 1970s the film world explored the themes of possession, the occult, and Satan. Movies like The Omen and Rosemary’s Baby are a couple of examples from this period. 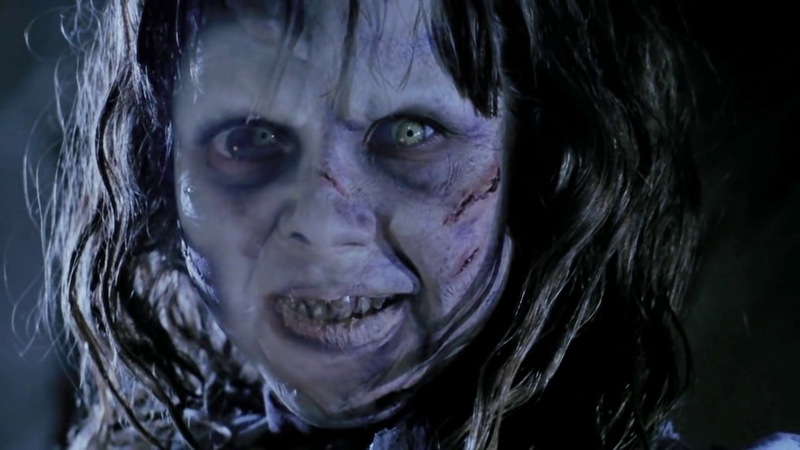 The Exorcist is another one of the successful works in this genre. 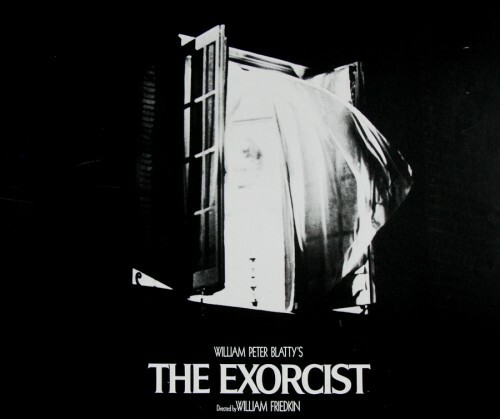 The film was developed from the novel The Exorcist by William Peter Blatty (A Shot in the Dark). That work had been inspired the true events surrounding the exorcism of a young Maryland man in 1949. Blatty also wrote the screenplay for the film and locked himself into a battle with the studio when they balked at his request for William Friedkin (The French Connection) to direct the film. Ultimately Blatty won and Friedkin was given the job. The movie would go on to be nominated for 10 Oscars including Best Picture and Best Director. The cast for the film includes Ellen Burstyn (Interstellar), Max von Sydow (Hannah and Her Sisters), Linda Blair (All is Normal), Jason Miller (Rudy), and Lee J. Cobb (On the Waterfront). I don’t like to dwell on the “true story” behind a film very often. The movie business is about entertainment and I accept that Hollywood will adjust things to fit the needs of the target audience. With that being said, this one tells a solid story. The idea that some of these things might have actually happened just helps make it a little creepier. The setup is a bit slow, starting with a series of events that don’t quite feel at home with the tone of the story. The connections are eventually made, but this one could’ve done with a quicker start out of the gate. Once the action does get going, this one pays off nicely. The characters are all interesting, and the dialogue is excellent. Thankfully the writing doesn’t seek to explain everything that happens. Instead, the story is open to deeper interpretation from the audience. This might not work all the time, but the choice was the right one for this movie. When it comes to stories about possession or exorcism, this is one of the better written movies. 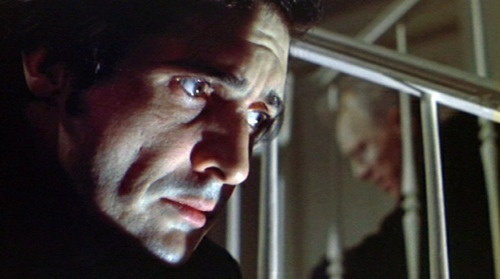 It also earned William Peter Blatty an Academy Award for Best Adapted Screenplay. The acting in this movie is pretty good. William Friedkin was known for being hard on his actors and for using extreme methods to get the desired performances. This time around was not any different. The scenes in the bedroom were filmed inside of a large freezer to keep the breath of the stars visible. In addition, the director frequently did things without the knowledge of the stars to create genuine reactions. The result is a solid collection of performances that bring out the tone of the film. 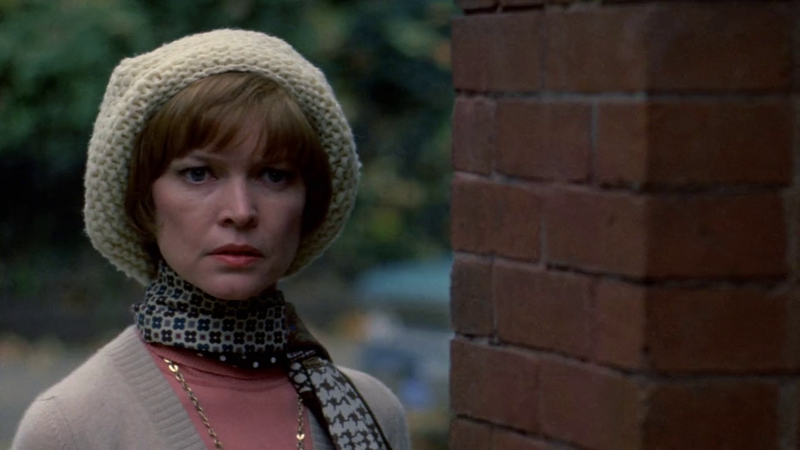 The two best performances in this one come from Ellen Burstyn and Jason Miller. Their roles make up much of the film, and they both seemed to understand the emotional challenges of their characters. Burstyn also does a good job playing the more intense moments in the movie. The physical demands for her role were intense, and she pulls it off. She earned an Oscar nomination for Best Actress in a Leading Role for her performance. Miller also finds the right tone to play his character. His somewhat understated performance works to keep the tension in the story. Miller was nominated for Best Supporting Actor for his work in this one. These two are joined by nice performances from Linda Blair, Max von Sydow, and Lee J. Cobb. 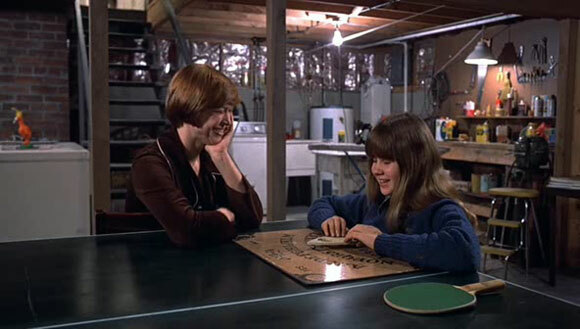 Blair was an unknown child actor when she was cast for this film. Her work does a nice job balancing out the horrifying aspects of the story with the inherent innocence of her character. Her performance earned her an Oscar nomination for Best Supporting Actress. Lee J. Cobb also does nice work in this one. Unfortunately, the role he was given limited his ability to shine. The same could be said of Max von Sydow. His performance is great, but also seems to limit his ability to stand out. His role is important and he makes good use of his time on the screen. Overall, the cast in this one does a nice job with the story. This film would go on to be the second biggest box office winner of the year, trailing The Sting. The movie has spawned a number of sequels, rip-offs, and spinoffs. In many ways this is one of the films that really helped to solidify this supernatural horror genre. The special effects, while dated, hold up nicely and have been revisited with the help of CGI for more recent releases. For the purposes of this review I confined my viewing to the original release version. This version has a lot to offer in terms of great camera work and special effects. The movie earned cinematographer Owen Roizman (Network) one of his five Oscar nominations for Best Cinematography. The film was also nominated for Best Set Decoration and Best Film Editing. (It’s important to remember that it would be seven more years before the Academy of Motion Picture Arts and Sciences would create a standing category to recognize the visual effects work in films.) The sound work in this one is also very good. The voicing done for Blair during the possession scenes is a big part of the success of the movie. This film took home the second of two Oscars for Best Sound. This is one of those classic horror films that has defined how films in this genre are made today. While the movies being made now might have more intense visuals, there is little they can do to match the overall success of this one. The Oscar-winning story, the acting, and the visuals all come together with great success. My only issues with this film are relatively minor, and I would definitely recommend this to fans of horror. I would also suggest this one to fans of the stars. I give this one 4.5 out of 5 stars. Pingback: Alice Doesn’t Live Here Anymore – Did You See That One?